Jill Of All Trades: Buying the perfect gift for a mom-to-be and new born daughter! Buying the perfect gift for a mom-to-be and new born daughter! I had my kiddo when I was 25 years old, and that is a young age for today’s time and age. Hence, now that my kiddo is almost 2 years old, it’s the time when my friends have started getting married or having babies. One of my close buddies, a friend from college, recently gave birth to a healthy and gorgeous baby girl. The mother, my friend herself is a very pretty woman! We stay close by so I was thrilled that my kiddo now has a friend to play with. I’ve to go to meet her once she’s discharged from the hospital, and was wondering what to buy as gifts. 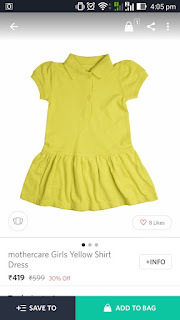 The best thing about having a baby girl is all the adorable and cute dresses for girls out there. Frilly frocks, short skirts, in-fact you even get jumpsuits and all the latest trends for the fashionista baby! I started browsing the vast variety of outfits on Myntra and it got so confusing what to buy and what not. 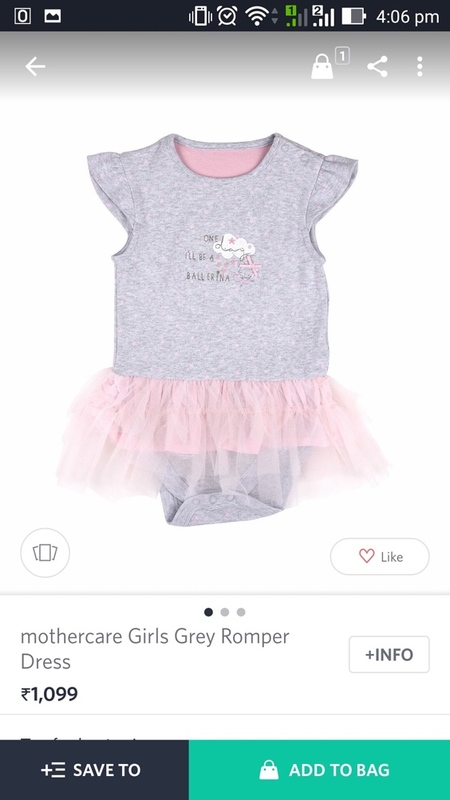 In-fact I ended up ordering 2-3 outfits and also a little bummed that I wouldn’t be ever able to play dress-up with my baby boy (but maybe I’ll try). Photo Caption: Aren’t these dresses from Mothercare absolutely adorbs! Now that this was sorted, I thought, we always just take something for the baby, why not something for the new mom? She totally deserved to be pampered even after giving birth to her kid, right? Now my friend absolutely loves accessorizing so I thought maybe I’ll buy something cool for her. I kept in mind that it shouldn’t be something she wouldn’t be able to wear because it would irritate the baby or something with beads etc if the baby tugs at, breaks in a go (Been there, done that). 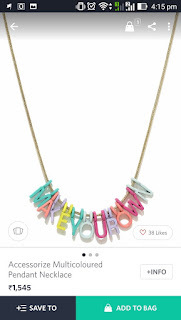 I picked up a quaint choker-necklace for her, while browsing jewellery online I also stumbled upon this creative “make your own” necklace that reminded of the old times when we used to get beaded key-chains/bracelets made. My friend is a very creative person herself and loves art and craft (her paintings are marvelous I tell you), so I ordered this too. She can have her baby’s name in it, or anything else she likes. 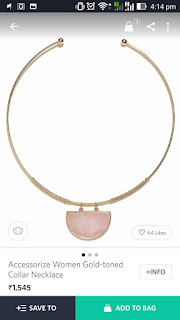 I’m almost in the mind to order this for myself too. Photo Caption: Which one do you like? I’m pretty sure my order will get delivered by the time my friend (who’s also delivered, pun intended) is back to her home! I’m pretty certain she’ll love the stuff (or else there always is free returns, hassle-free) but I doubt I’ll need to. IskiUski is one of the online foremost jewellery shop in india with the latest jewellery design in Gold, Diamond, Silver. We offer wide range of white gold earrings with diamonds from various famous designers. In a country like India, vastu shahstra is considered one of the basic requirements while constructing a property or building according to pre-specified principles. It is necessary to follow these principles for wealth, health, fame and prosperity in life. Though it has become difficult to follow each and every principle in the present era, it is important to make maximum use of tenets in order to achieve peace and harmony in life. Nice post. We have a great collection of gifts for him and gifts for her. The all new Vodafone U!